Reeh Plumbing has been proudly serving the residential and commercial plumbing needs of Fredericksburg, Kerrville, and Johnson City since 1995. 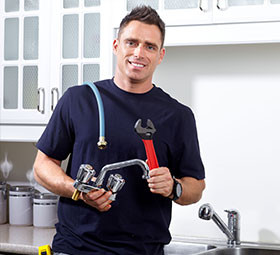 Our state-licensed technicians are dedicated to resolving all of your plumbing issues. 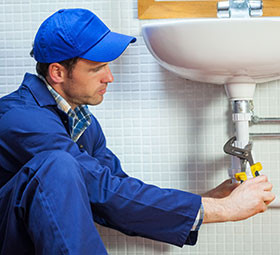 You can count on our effective workmanship because we have experience installing and working on various makes and models of equipment such as conventional and tankless water heaters, kitchen and lavatory faucets, shower valves and more. If you’ve recently purchased a new plumbing appliance or fixture, make sure it gets installed right by hiring the professionals at Reeh Plumbing. 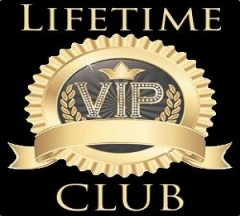 Our knowledgeable staff will get your product up and running in no time. Equipment and Fixture “Water Tight” Guarantee: Reeh Plumbing guarantees that the equipment and/or fixtures we install in your home will provide the level of service as stated. If any equipment or fixture fails during normal use in the first year Reeh Plumbing will either repair or replace the item at no charge to you. Grease, soap, food, and hair can build up in your drain and sewer lines. Things like these can create a blockage that can slow or stop the flow of water. Allow the trusted staff at Reeh Plumbing to get your pipes’ traffic back in motion. Using superior workmanship, our technicians will unclog your sink, floor drain, main drain, tub, toilet, and washer line. And be sure to ask about our BioSmart products which clean drains and ensure proper flow for many years. Gas leaks are not to be taken lightly. If you ever suspect a gas leak in your home or business, immediately remove yourself and others from the premises, then notify Reeh Plumbing and your gas company of the situation. Pressure testing of gas lines is a task for professionals and our service technicians are licensed to quickly identify any leaks that may exist. Once located, the leaks will be quickly and safely repaired. 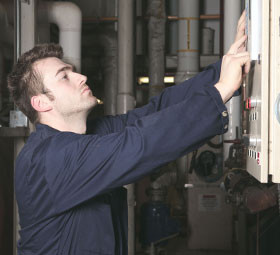 All of our technicians are highly-trained. They’ve gone through extensive training to ensure they are ready to properly handle any gas line issues. Gas leaks are serious matters and every member of our staff is rigorously trained to make sure they keep you and your loved ones safe from harm. 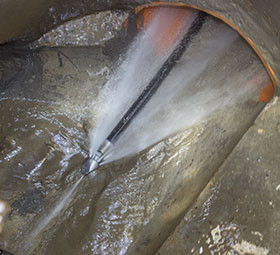 Over time, grease, sludge and sand can have an adverse effect on a sewer line. Reeh Plumbing specializes in high-pressure sewer line jetting to commercial and residential customers of the Texas Hill Country. No obstruction can withstand the power of our high-pressure jetters. Call Reeh Plumbing to get you sewer line flowing smoothly again.